White Enamel is an interactive self-guided online journey via image, sound and motion picture through the sometimes loud, sometimes soft, but always powerful and profound corridors of the abandoned Glenfield State Psychiatric Hospital. The now abandon Glenfield State Psychiatric Hospital has a long history of tragedy and horror. On January 28,1911, over 100 patients froze to death after 2 main boilers broke down in middle of a freezing winter. 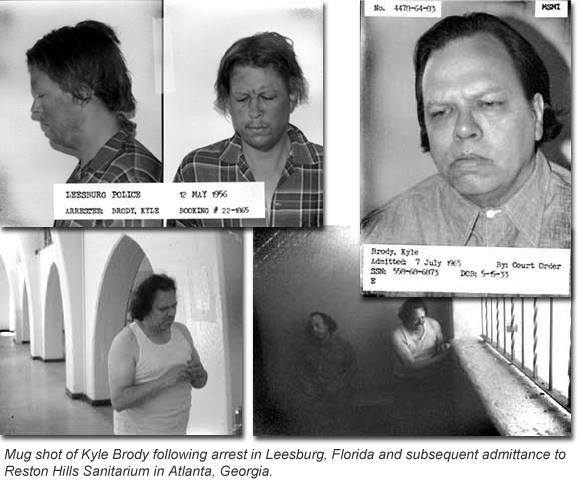 “The significance of Kyle Brody to White Enamel is based upon a documentary by the same title that captured Kyle Brody on film when institutionalized at Glenfield’s Psychiatric Hospital at MSICI. Brody’s story is unique. When as a child in Burkittsville, Maryland in 1941, Brody and seven other children were abducted by an old hermit named Rustin Parr who lived in neighboring woods of the Black Hills. Parr held Kyle Brody and the seven other children captive in the cellar on his home, having then tortured and killed them before burying their bodies in the cellar floor. Kyle Brody would have been the eighth victim had he not had an opportunity to escape Parr’s clutch. On May 25, 1941, Rustin Parr emerged from the woods, walked into a local market and publicly exclaimed he was “finally finished.” Police hiked for four hours to Parr’s secluded house in the woods to find the bodies of seven missing children in the cellar. Each child had been ritualistically murdered and disemboweled. Parr admitted to everything, telling the authorities that he had done it for “an old woman ghost” who occupied the woods near his house. This was assumed to be the “Blair Witch” according to Parr and local residents who still believed in such a legend. whiteenamel.com takes you through the building of GSPH with interactive 3-D animation,real pictures of the mildewed walls and rusty equipment,disturbing archive footage, haunting sound clips and a soundtrack that will definitely put a little chill in your soul. It is a cross between a film and a video game where you yourself click on certain objects to activate a film clip,sound bite or any number of things.